Professor Bratko has conducted research in machine learning, knowledge-based systems, qualitative modeling, intelligent robotics, heuristic programming and computer chess. His main interests in machine learning have been in learning from noisy data, combining learning and qualitative reasoning, constructive induction, Inductive Logic Programming and various applications of machine learning, including medicine and control of dynamic systems. In 1980 I spent another summer in Edinburgh as a guest of Donald Michie. Since the low point of 1975, thanks to assiduous and inventive joint pursuit of funding possibilities by Donald and Jean, the Machine Intelligence Research Unit was alive with work focused on chess endgames. There were students, including Tim Niblett and Alen Shapiro. Danny Kopec was there, perhaps formally as a student, but de facto as the resident chess consultant. Ivan Bratko visited frequently. Alen was the administrator of the dream computing environment of that time: a small PDP-11 running Unix. Donald Michie, Ivan Bratko (1978). Advice Table Representations of Chess End-Game Knowledge. Proceedings 3rd AISB/GI Conference, pp. 194-200. Ivan Bratko, Tim Niblett (1979). Conjectures and Refutations in a Framework for Chess Endgames. in Expert Systems in the Micro-Electronic Age (Donald Michie, ed. ), Edinburgh: Edinburgh University Press. Ivan Bratko, Donald Michie (1980). An Advice Program For a Complex Chess Programming Task. Computer Journal, Vol. 23, No. 4, pp. 350-353. Ivan Bratko (1982). Knowledge-Based Problem-Solving in AL3. Machine Intelligence 10 (eds. Jean Hayes Michie, Donald Michie and Y.H. Pao), pp. 73-100. Ellis Horwood Ltd., Chichester, UK. ISBN 0-85312-431-0. Ivan Bratko (1984). Advice and Planning in Chess Endgames. Artificial and Human Thinking (eds. S. Amarel, A. Elithorn and R. Banerji). North-Holland. Ivan Bratko (1985). Symbolic Derivation of Chess Patterns. Progress in Artificial Intelligence (eds. L. Steels and J.A. Campbell), pp. 281-290. Ellis Horwood Ltd., Chichester, UK. 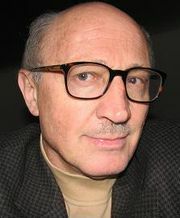 Ivan Bratko (1986, 1990). Game Playing. Prolog Programming for Artificial Intelligence. 2nd Edition 1990. Addison Wesley, Reading, MA. ISBN 0-201-41606-9..
Tim Niblett, Ivan Bratko (1987). Learning decision rules in noisy domains, in Research and Development in Expert Systems III (Max Bramer, ed. ), pp. 25-34, Cambridge University Press. This page was last edited on 13 April 2019, at 07:46.